Designed for furniture manufacturers and dealers. ofcdesk idc gives furniture dealers access to manufacturer content, so they can develop layouts in Revit® for their clients, cutting-edge BIM technology at your fingertips. Your favorite and most needed products are always available. The new Smart Insert gathers the most used symbols, recently inserted items, and existing products within your current project, all in a single interface. The Smart Palette gives you intelligent suggestions on related items based on your recent and past insertions. Faster and high quality rendering. 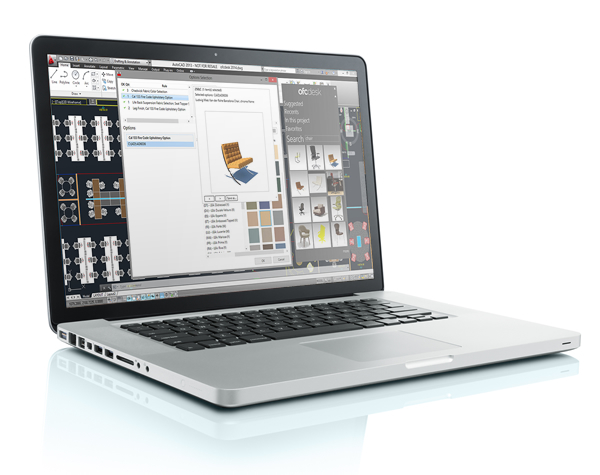 Finish and texture selections that were easy and intuitive are now faster. Renders have become quicker with higher quality. AutoCAD®? Revit®? SketchUp™? Make your choice and get to work. Feel free to change platforms at any point in the project. 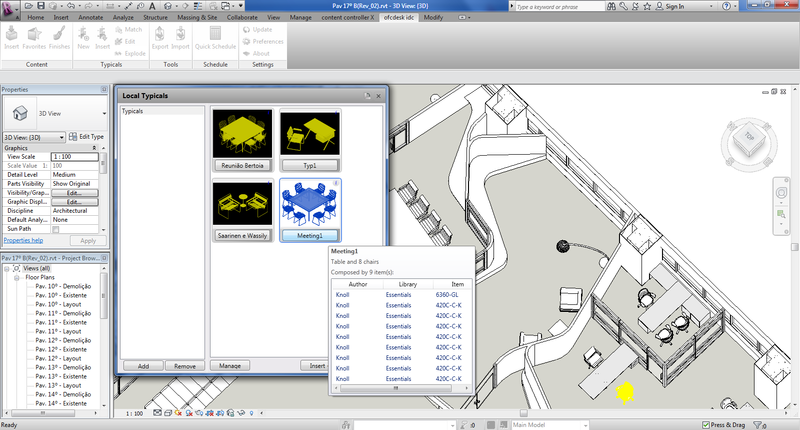 ofcdesk idc gives you the ability to design in 3 platforms, connecting Revit®, AutoCAD® and SketchUp™ users. Use ofcdesk idc to ensure data integrity and smooth project workflows between departments. Keep your designers, managers, and sales force synchronized. 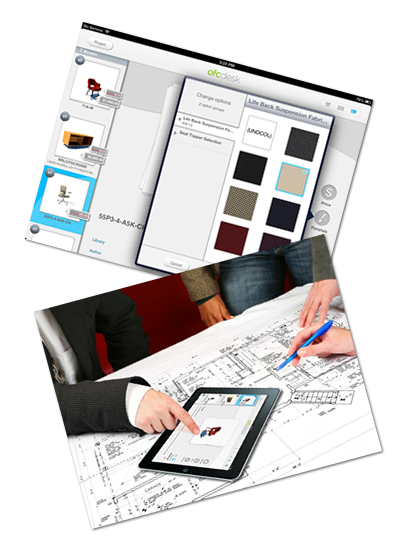 Use the go box iPad® app to send layouts*, products, and catalogs to your team. 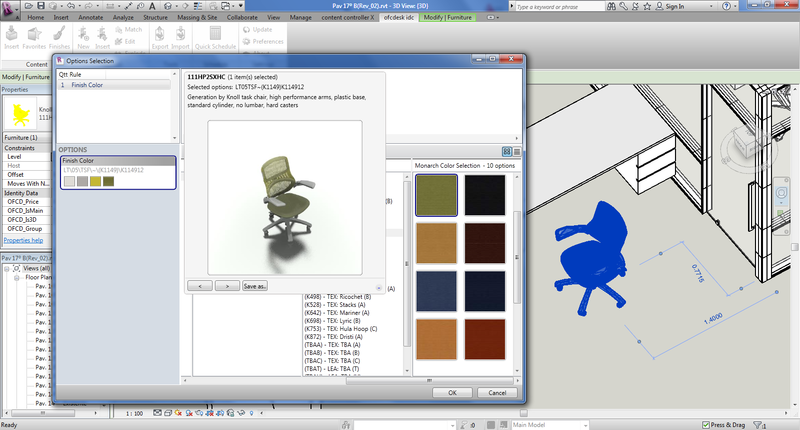 ¹Dependence on the existence of native libraries for AutoCAD®, Revit® and SketchUp™. ²Layouts must be converted to images or pdf before being sent to go box.